At this crucial time in the programme, the Ministry of Defence (the Department) needs to ensure it manages its costs, people, contractors and schedule effectively to maintain the Defence Nuclear Enterprise, says today’s report by the National Audit Office (NAO). The Department maintains a submarine-based nuclear deterrent to support the Government’s national security policy. To do this, the Department relies on a network of programmes, equipment and people, often referred to as the Nuclear Enterprise. This work includes designing, producing and maintaining submarines and nuclear warheads, and providing the necessary estate, people and support. The new Dreadnought-class submarines will gradually replace the four Vanguard-class boats from the early 2030s. The Department announced the start of construction in October 2016. In 2018-19, the Department forecasts to spend £5.2 billion across the Enterprise, which represents 14% of the Department's overall budget. It includes £1.8 billion on procuring and supporting submarines, £1.4 billion on the missiles and warheads, £790 million on the propulsion systems and £220 million on managing the Enterprise. The majority of Enterprise spending relates to nuclear equipment and support programmes, with the Department estimating it will spend £50.9 billion on these between 2018 and 2028. To make the Enterprise affordable, the Department has had to cut costs, identify efficiencies and re-programme work. Without this, the Enterprise could destabilise the Department's overall equipment plan as around a quarter of its equipment expenditure for 2018 to 2028 relates to nuclear programmes. In the last two years, the Department has reorganised how it manages the Enterprise. The Strategic Defence and Security Review (SDSR) 2015 set out a commitment to improve clarity over the governance and decision-making for the Enterprise, which had become fragmented under the Department's devolved model. The Department has implemented most of its commitments by establishing a single point of accountability for the Enterprise, and creating two new organisations - the Defence Nuclear Organisation (DNO) and the Submarine Delivery Agency (SDA). The Department uses four main contractors (BAE Systems, Babcock, Rolls-Royce and AWE Management Limited) for 97% of its Enterprise-related contracts by value. These contractors in turn use around 1,500 sub-contractors, many of which are small and specialist. The Department must also meet its own contractual responsibilities for providing, for example, nuclear reactor components to its main submarine production contractor. The Department has introduced new ways of working with its contractors to try to address historic poor performance. From 1 April 2018, BAE Systems, Rolls-Royce and the SDA are working together on building the Dreadnought-class submarine to joint costs and schedules. The Department hopes this will improve performance in delivering the Enterprise through a combination of better project controls, stronger collaboration and information sharing, and more rigorous oversight. Delivering and operating programmes across the Enterprise requires a wide range of military and civilian skills that are in short supply nationally. In January 2018 the Department identified a shortage of 337 skilled personnel across seven military nuclear specialisms. In response, the Department has developed skills programmes and is consolidating submarine-related training at its naval base in Scotland. The complexity of the Enterprise means the Department must coordinate around 75 programmes, and manage knock-on effects between programmes. For example, the timeframe for Dreadnought submarine production will be affected by progress with other submarine builds and will influence the support and maintenance requirements for in-service submarines. 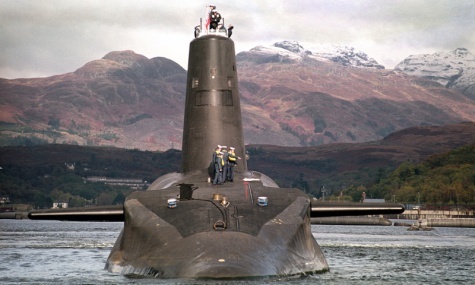 Astute-class submarines are an average of 27 months behind schedule. Given the limited space available, the Department also needs to coordinate its estate plans to ensure it has the facilities to maintain its submarines, such as sufficient dock capacity, and also decommission and dismantle 20 boats which have left service. Amyas Morse, the head of the NAO, said today: “Ten years on, some of the significant risks the NAO highlighted in our last report, around costs, skills, commercial relationships and delivery to schedule, remain. An MOD spokesperson said: “Not only is the nuclear deterrent our ultimate defence from the world’s most extreme threats, but it is a true national endeavour which supports thousands of British jobs. The Dreadnought programme is one of the most complex engineering programmes ever undertaken by the UK and the NAO’s report highlights our position that it is on track to be delivered on schedule and within the original estimated cost. -- To maintain the deterrent, the Ministry of Defence coordinates a range of programmes and organisations, often termed the 'Nuclear Enterprise'. The Enterprise includes submarines, the nuclear propulsion systems used to power the submarines, and the missiles and warheads that arm them. It also brings together the design, build, operation, maintenance and support of these elements which involves numerous partners. The UK and the United States co-operate closely including on elements of the warhead, the Trident missile system and the nuclear propulsion systems. -- The Enterprise is spread across 13 UK sites, with one in the US. The Department owns nine sites whilst its contractors own four. They include: Clyde Naval Base and Royal Navy Armaments Deport, Coulport both in Scotland, Devonport Royal Dockyard, Barrow Shipyard and Atomic Weapons Establishment sites. 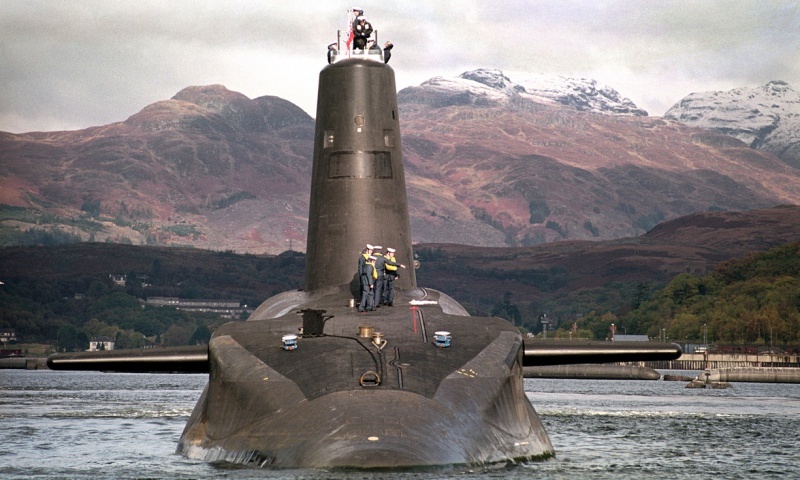 -- The NAO report describes how the Department needs to bring together its programmes, including production of the new deterrent submarines, to provide a continuous at sea deterrent. It examines the component parts of the Enterprise, its governance and the management of specific parts of the Enterprise. It does not examine the value for money of the programme or comment on the overarching policy. -- The National Audit Office scrutinises public spending for Parliament and is independent of government. The Comptroller and Auditor General (C&AG), Sir Amyas Morse KCB, is an Officer of the House of Commons and leads the NAO, which employs some 785 people. The C&AG certifies the accounts of all government departments and many other public-sector bodies. He has statutory authority to examine and report to Parliament on whether departments and the bodies they fund have used their resources efficiently, effectively, and with economy. Our studies evaluate the value for money of public spending, nationally and locally. Our recommendations and reports on good practice help government improve public services. Our work led to audited savings of £734 million in 2016. Click here for the full report (62 PDF pages) on the NAO website.